Need to know more than name and email - no problem, just follow this guide. Sometimes you want to collect more information from your customers than just their name and email. Fortunately, this is straightforward in the Timekit admin interface. All you need to do is to log in, find the project you wish to add fields to and press "customer fields". Here you'll find the ability to add different types of data formats that can be used to ask various questions to your customers as part of the booking flow. Think of it as a mini survey. 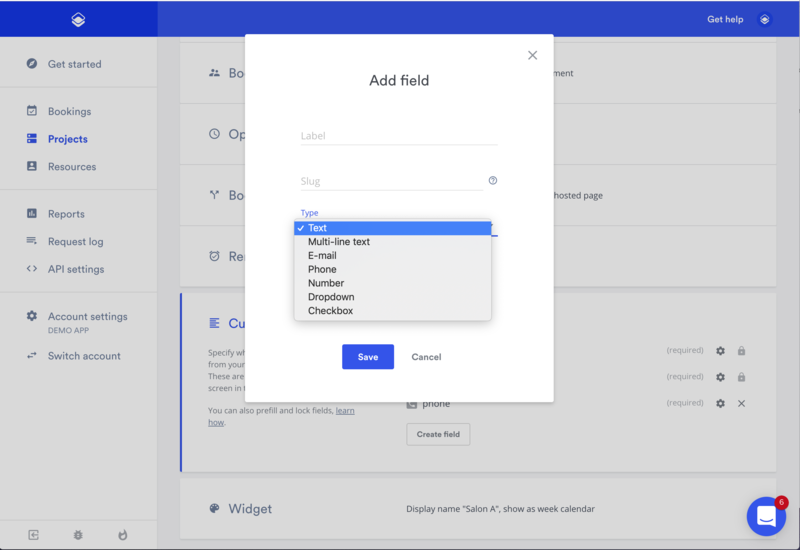 If you need to use logic jump and advanced survey formatting then we recommend looking into potentially combining Typeform.com, placing Timekit as a redirect once completed and then combining data from Typeform and Timekit in your CRM via Zapier.